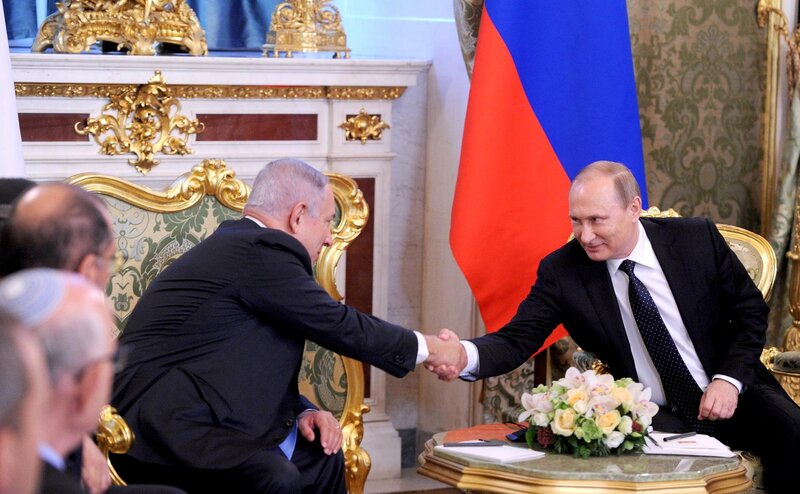 Russian President Vladimir Putin has acknowledged a high level of Russian-Israeli interaction and proposed better using the potential of Israelis who earlier left the Soviet Union. "We maintain permanent contact and reaffirm a high level of our relations," Putin said at the outset of a meeting with Israeli Prime Minister Benjamin Netanyahu at the Kremlin on June 7. "Here in Russia, we attach a lot of significance to contacts with Israel, and not only because Israel is one of the key countries [affecting] the situation in the Middle East but also due to historical relations binding our states," Putin said. "Of course we would like - you know my position - to use the potential existing in Israel, namely the people coming from the former Soviet Union, from Russia. As a rule, these are people who preserve ties with Russia, and we also value these ties," Putin said. Netanyahu pointed out in response that two Israeli government ministers accompanying him at the negotiations at the Kremlin and the Israeli ambassador to Russia "have spoken in the Russian language since birth." "I hope this is a good Russian language," he said. Netanyahu said he always has something "to discuss [with Putin] - this includes technology, agricultural cooperation, regional problems, and a lot of common challenges." The Israeli prime minister mentioned special significance of his official visit to Russia timed to coincide with the 25th anniversary of the restoration of diplomatic relations between Russia and Israel. "You and I will discuss how we should strengthen and develop our relations in the next 25 years," Netanyahu said addressing the Russian leader. He described the people who had left Russia and the Soviet Union for Israel, as "a living bridge between our countries and peoples." "I hope this bridge will help us achieve excellent results in the future, based not only on our mutual interests but also on good feelings," he said.